Blue skies, blue waters, beautiful vistas and a steady breeze — all these point to a great day to go kayaking! In fact, why not make it a three-day weekend? Pack your food, sunscreen and camera. 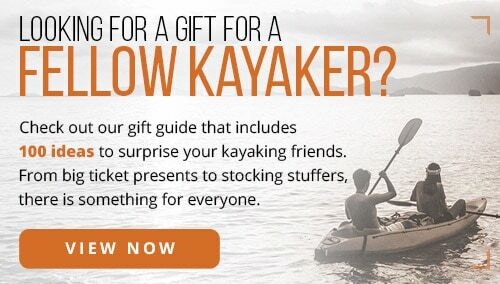 Let us help you find the best touring kayak for your trip. 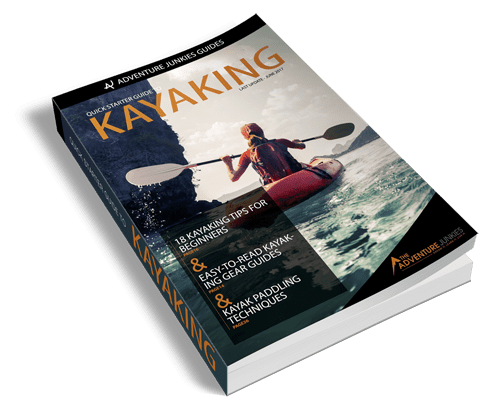 While reading our guide, you will need to consider where you’ll be kayaking and how you want your kayak to feel on the water. Here at The Adventure Junkies, outdoor gear is our specialty. 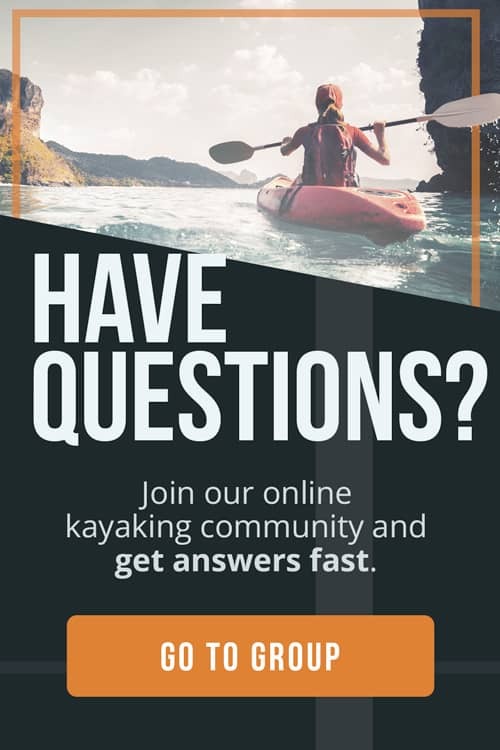 We love to break down information into bite-sized bits of knowledge that can help you grow into an adventure sports guru in no time! The never-ending kayaking debate asks the question, “Which is a better hull material, composite or plastic?” Truthfully, there is no correct answer as it ultimately comes down to preference. Let’s look at the facts. Composite is sleek and rigid because it’s made of lightweight components like fiberglass, carbon fiber or aramid fibers (Kevlar). This material boasts high tensile strength and aesthetic superiority that plastic cannot compete with. Glossy, modern and swift on the water, composite is used in racing vessels and preferred by most kayak enthusiasts. The downside of composite is that it is considerably more expensive than plastic hulls, by double or even quadruple and susceptible to impact damage. Its rigid nature offers no flexibility,and collisions with rocks frequently result in cracks in the hull. 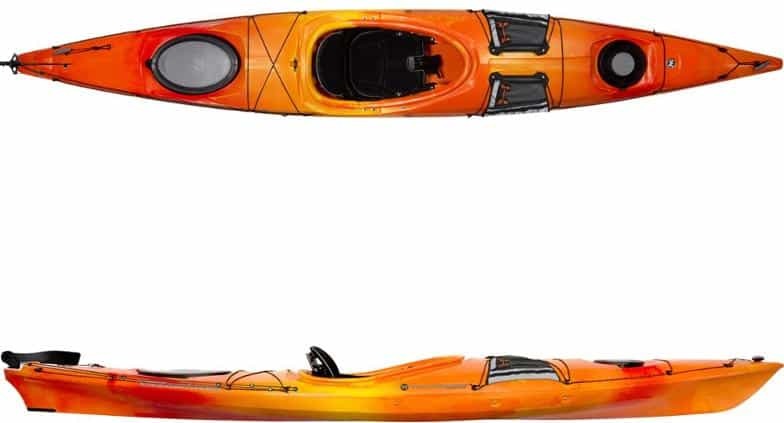 As a result of these combined factors, plastic kayaks are the most widely offered choice and recommended for most kayakers. In fact, all of the kayaks reviewed in this guide are plastic, made of either ABS or polyethylene. ABS plastic is the more lightweight, scratch-resistant, and expensive of the two. Polyethylene is thicker, heavier, and more durable. All plastic kayaks are said to have less “bounce” on the water, making them easier to maneuver. If you are interested in exploring composite kayaks, Seaward offers handcrafted Kevlar and carbon vessels. While composite is a substance of a lighter weight than plastic, buying a composite kayak does not guarantee easy handling and transportation. The same goes for plastic. Every kayak is different. The weight will mostly be determined by the length, with longer kayaks weighing more. If you plan to take on expeditions that require portaging, look for a lightweight kayak. What is a tracking system, you ask? A tracking system is an accessory that enables a vessel to move in a straight line, existing as a rudder or skeg. A rudder is a moveable fin deployed off the stern (tail end) of the kayak that is controlled with foot pedals in the cockpit. A skeg, also called a keel, can be a stationary or adjustable fin on the bottom of the kayak below the stern. An adjustable skeg is able to be deployed at various depths below the vessel, depending on how much tracking is needed. 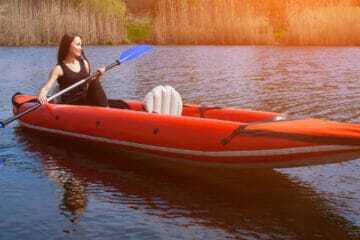 Some kayaks do not have tracking systems, especially shorter kayaks, as they are already easy to maneuver. However, even the most easily maneuverable kayaks can be difficult to control in high winds without a tracking system. We recommend you test all the options before purchasing. 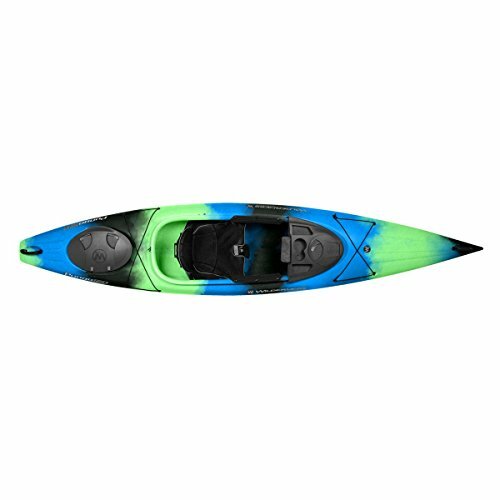 Kayak dimensions are definitely important in understanding stability and maneuverability, not to mention comfort and transportation. Touring kayaks usually range from 12 to 17 feet long. Long kayaks are ideal for touring since they temper turbulence and move more swiftly. They typically track better, too. With additional length comes additional difficulty in transportation and maneuvering. It’s wise to purchase a kayak cart unless you live on the water. Wider cockpits offer more room for large people or people with additional storage needs. On the flip side, the wider a kayak, the less responsive it will be to the directional changes. This can be a good thing if you are interested in diminishing the effects of waves or wind, but can hinder your ability to carve quickly and easily. 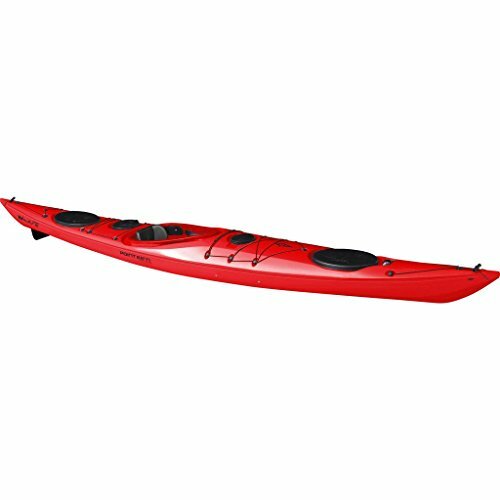 Smaller people will benefit from a thinner kayak as they offer enhanced responsiveness and are easier to paddle. Kayak stability is measured in two parts, primary and secondary stability. 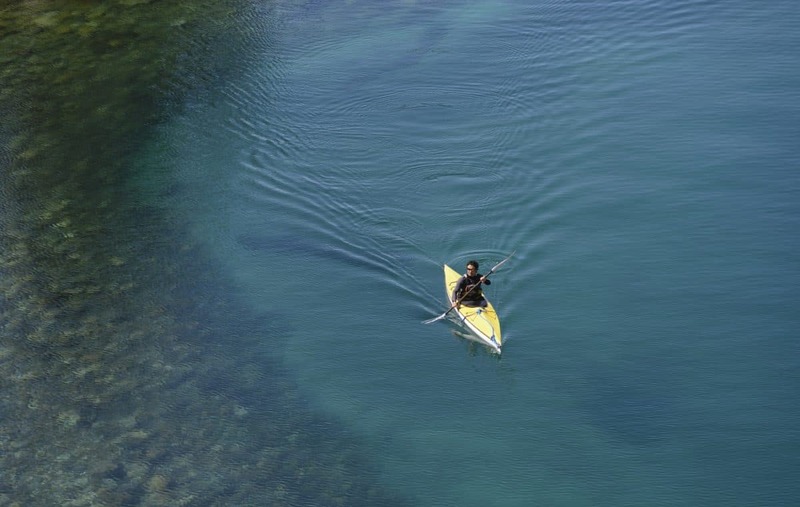 Primary is the ability for a kayak to stay balanced while sitting flat on the surface. 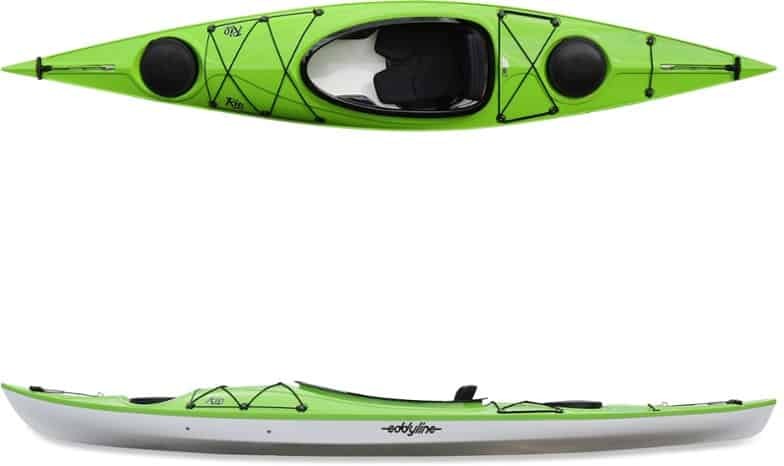 Meanwhile, the secondary is the ability for it to stay balanced when the kayak rotates onto its side. 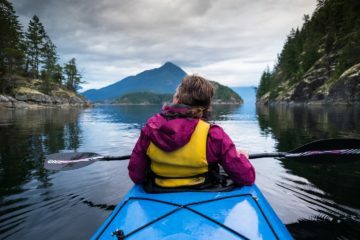 When choosing a touring kayak, it is important to consider where you plan to use it the most and what type of movement you are most comfortable with. 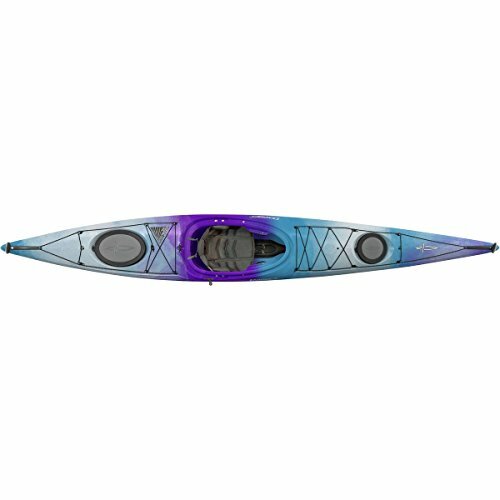 If you plan on taking long or overnight trips, even expeditions, a speedy and lightweight but less maneuverable kayak would serve you well. 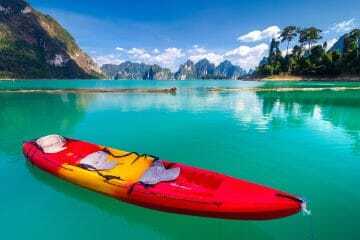 If you will likely encounter choppy waves or wind, as one would in the mouth of a river or slight rapids, a highly maneuverable kayak will prove advantageous in your ability to stay safe on the water.